Jill M. Schumacher joined OSMC in 2012 as a Physician Assistant in OrthoToday, a service of Orthopaedic and Sports Medicine Center which provides same-day visits for all patients experiencing a non life-threatening, acute orthopaedic injury. Jill received her undergraduate degree in Biology from Evangel University. Jill then went on to complete her Physician Assistant degree from Philadelphia College of Osteopathic Medicine. After graduating from PA school, Jill worked for five years in the emergency room and there she gained a vast knowledge in acute care. 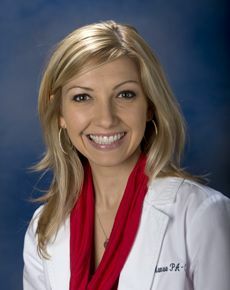 Jill is a member of the American Academy of Physician Assistants. Jill has traveled to Ecuador, Ethiopia, Peru and South Africa on short term medical missions where a team of doctors, PA, dentists, optometrists, PT’s and other medical personnel set up clinics in remote areas and provided medical care for those in need. Jill is also an avid marathon runner. She has run in several marathons including London, Chicago, Marine Corps, and many other road races. Jill is a proud Annapolis Striders club member.